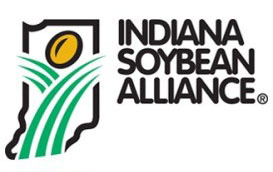 INDIANAPOLIS — A new strategic alliance with Ivy Tech Corporate College, Indiana Soybean Alliance and Indiana Corn Marketing Council has produced a new Next Generation Farming course, a 21-week, online course and comprehensive curriculum designed to serve as a foundation for a successful career in livestock, poultry and agricultural operations. Today’s farms require a combination of skilled labor, technology-focus, business acumen, equipment knowledge, as well as, facility, animal and feed management and logistics to make them work profitably. The new Indiana Animal Agriculture Certificate, the most comprehensive and only livestock and aquaculture certificate program available, will begin on January 19, 2015. Scholarships are available from the soybean and corn check-off organizations. “Farmers will benefit from the course by helping the next generation prepare for a more rewarding career and assure an enduring legacy. 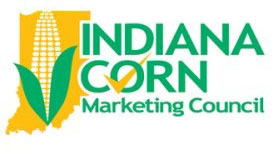 Employers will be rewarded with better employees who understand the big picture, contribute more effectively and will stay on the job longer,” said Indiana Corn Marketing Council Director of Livestock Andy Tauer. The seven-module course consists of presentations, discussions, activities and exams, all designed to upgrade the participant’s contribution, responsibilities, commitments, and overall value. Topics of training will also include labor management practices and how to write a business plan. Additional modules will familiarize the student with how to write a contract and the role of various regulatory agencies, animal nutrition, husbandry and waste management, biosecurity and a guided onsite facilities visit, plus the required information needed to pass the Indiana category 14 fertilizer/applicator certification exam. “Together, the curriculum, materials and guidance are all designed to better attain a path to success that benefits the worker, farmer, owner and ultimately the community and state. The timing is right, the price is right and the value will start this year as the skills learned are applicable right away,” said Ivy Tech Corporate College Lead Program Manager Mike Pickrell. For more information or to register for the Ivy Tech Next Generation Farming program, visit www.ivytech.edu/corporatecollege/agriculture/. The registration deadline is January 16, 2015. Cost is $2,187.50 per person. A limited number of scholarships are available. To see if you qualify, visit www.indianasoybean.com/livestock or www.incorn.org/livestock.